Chinese spoons are generally made of plain white porcelain – although modern spoons are sometimes made from metal – and you can also find them in a range of traditional and modern oriental designs and colours. They entail a wide, usually flat bowl and a curved handle. These chunky spoons originate in China as the name implies. They are part of everyday dining alongside chopsticks, and are particularly useful when consuming rice or soup. When Chinese spoons are used for soups the liquid is sipped from one side just like if you were using a cup. When these spoons are used for solid food, the user holds the spoon close to their mouth and then picks up the food using chopsticks. At western weddings guests usually eat out of them as they would regular spoons. 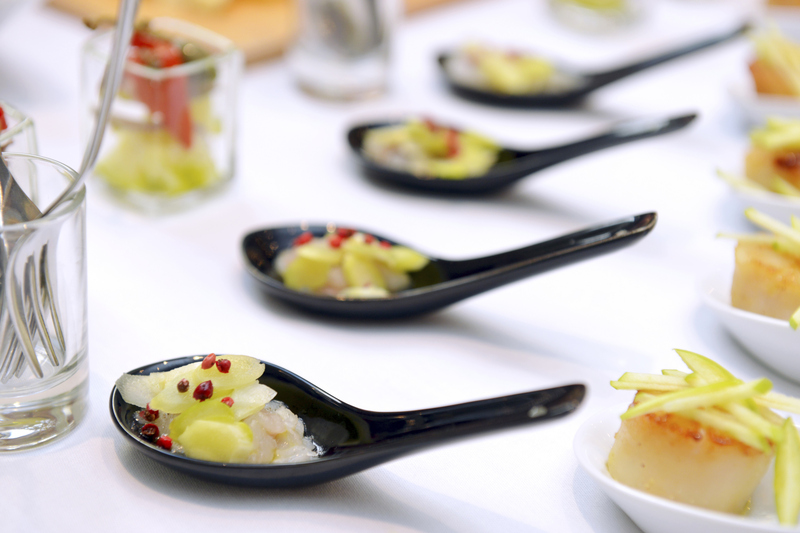 Use your Chinese spoons to present bite sized portions of different dishes as appetisers or canapés at your wedding. Foods can be sweet or savoury and are organised in single mouthfuls, one on each spoon cup. The spoons are placed on trays or circular plates and are served to guests. 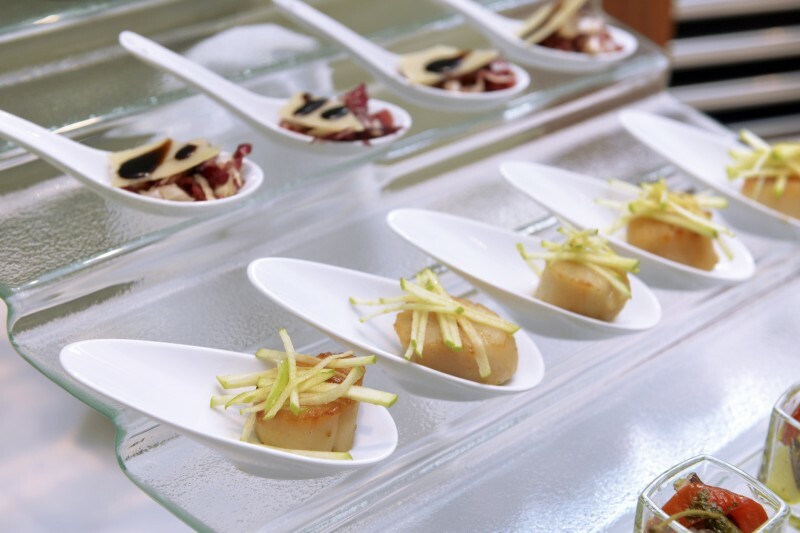 This ensures the arrangement and presentation of the canapés is very beautiful, and is an easy way for guests to eat delicious appetisers without using plates or cutlery. Chinese spoons make stunning wedding favours, especially if you are organising an Oriental inspired wedding. Select unusually shaped or very decorative spoons that can be filled with chocolates or sweets. You could even include Asian spices in the bowl of the spoon and tie recipe ideas to the handle. Your Chinese spoon favour and its contents can be placed inside in a clear cellophane bag with a complementary ribbon. Alternatively, place your Chinese spoon wedding favours in a circle in the middle of each table for your guests to choose and you will add an interesting feature to the table – highlighting your table centrepieces. Use Easy Weddings to connect with your dream wedding suppliers. Browse the directory and start planning today! Easy Weddings contains over 6500 wedding suppliers to make your wedding planning easy! Use of this site constitutes acceptance of our User Agreement, Privacy and Cookies policy.